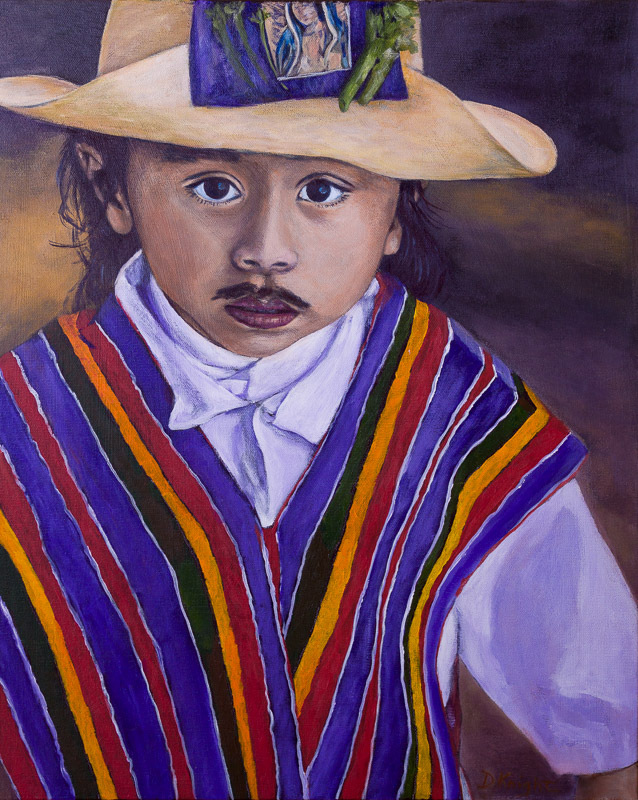 Most of the boys dressed like Juan Diego, the peasant who first saw the image of the Virgin of Guadalupe. He wore the typical loose pants and a tunic in a bleached muslin. This young boy also wore bleached cotton pants & tunic but with this beautifully coloured vest on top. Surprise, surprise – I was attracted to the colour. His straw hat was decorated with some crepe paper and a photo of the Virgin. Who could resist painting those big dark eyes. They do seem to pull people into the painting.